Posted: Wednesday, May 30, 2018. 8:45 am CST. By Richard Harrison: The current population of Belize is realistically around 400,000…..although official estimates are only 374,651….there are a lot of undocumented people living in the country. For comparison, the population in 1981 was 145,859….and in 2000 was 243,168. The population has grown around 160% since Independence. In 2016, there were 8,452 births, 2028 deaths and 1621 net migration….with net population growth of 8,045. The population is growing at a little over 2 percent per year….with around 20% of growth coming from net migration. 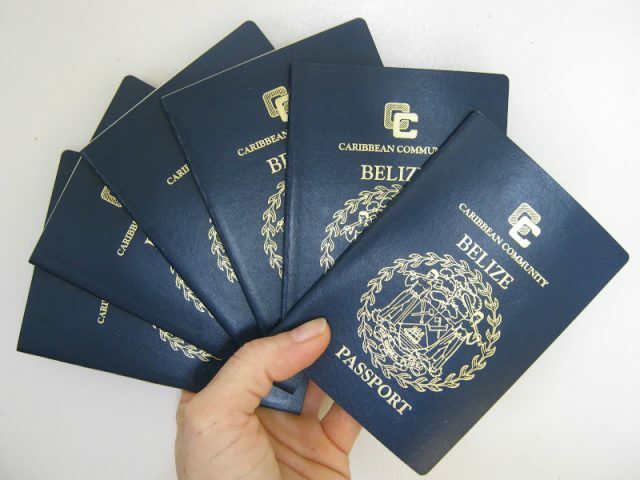 For the period 2007-2012, some net migration rates for comparison are: Belize 22.55%, USA 15.94%, Mexico – 4.29%, Guatemala – 7.81%, Honduras – 10.34%, El Salvador – 39.59%, Jamaica – 35.82%, Barbados 7.74%, Australia 45.01% and Canada 33.84%. In 1981, the GDP of Belize was US$192.9m….and grew to US$1,900m by 2017….a growth of 885%. The per capita income of Belizeans in 1981 was US$1,307….and it grew to US$4,906 in 2015…a growth of 275%….much lower than the rate of GDP growth. Guatemala per capita income in 1981 was US$1,177….and grew to US$3,903 by 2015….a growth of 231%. Honduras per capita income in 1981 was US$751.70….and grew to US$2,495 by 2015….a growth of 232%. In 2014, there were around 90,000 students enrolled in educational institutions….around 6,000 in pre-school…..63,000 in primary school….15,000 in high school….and 6,000 in post-secondary. Around 7,000 graduate from primary to high school each year…..yet only 3,500 graduate from high school….and around 1,750 graduate from post-secondary education. Belize needs to generate at minimum 5,000 new jobs per year to keep the unemployment rate stable…..it needs to generate 7,000 or more if it plans to reduce unemployment rate over the next 5 years to around 7%. It is obvious that Belize is still a beacon of hope compared to the countries around us…..people are flocking here at a rate higher than they flock to the USA….perhaps because it is easier to enter….and it is a sort of safe step in the direction of their destination….with social policies that provide for relative cheap access to education, health and land, while on the exodus north….in a still relatively “safe” environment. However, Belize per capita income grew at a rate much slower than the rate of GDP growth….and the high positive net migration has a lot to do with this phenomenon….as the new wealth created by the economy has to be shared with 20% of new people that did not contribute to that growth. Belizean citizens are facing a lot of competition for the few jobs the economy is generating…and the high net migration is crowding out Belizean children from the education system, at all levels. Belize needs to look at this situation more critically….so that we can temper this net positive migration…and turn it into a good thing for Belizeans….rather than the ball and chain currently hung around their necks. Even those who have arrived by way of this large positive net migration realize this….and know that Belize cannot continue to afford this, with the debt-to-GDP ratio hovering near 100%…they would rather we go through a stabilization process, after which we can make stronger, more sustainable push forward. Belize has to swallow its ego and pride…adopt policies that will adjust these numbers and make them more sustainable and realistic…if it will stabilize and strengthen….rather than weaken and collapse.